The ceremonial march of the Wehrmacht in Compiègne during the negotiations on a truce between the German command and France. 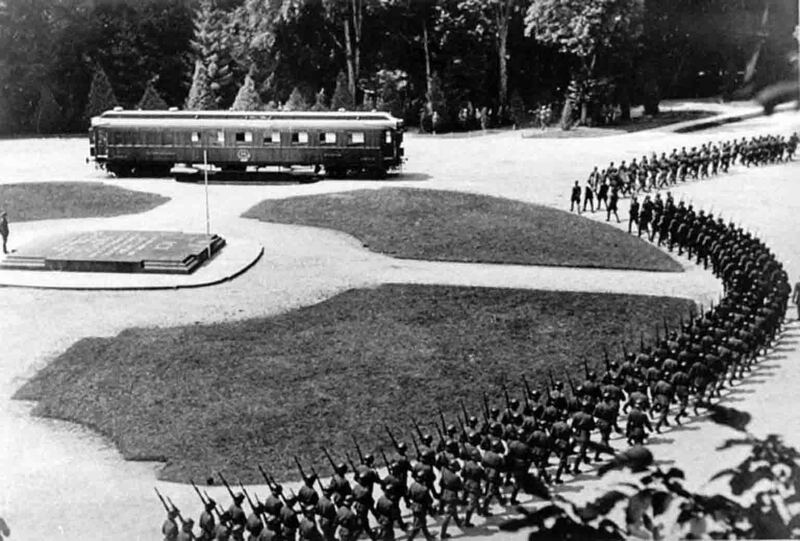 In the center is a historic railway car, in which the first Compiègne truce was signed, which recorded the defeat of Germany in the First World War. The new Compiègne truce was signed in the same car, symbolizing Germany’s revenge.